Seminars: In its spectrum of activities, besides imparting quality education, We have been organising a series of seminars and workshops covering various comtemporary issues in the field of Education. Sports: With physical fitness being a fundamental need in the context of globalized environment. We are endeavors to develop all the college students into physically fit professionals. Every year sports meet include different events like Cricket, Volleyball, Basketball, Badminton (Single, double, Mixed double) Table Tennis, Chess, Caram. The meets are scheduled within & outside the campus. Library: A Library is the heart, mind and soul of an educational institution and a fountain-head of innovativeness, inspiration and insight both for the students and the faculty. Learning and library are to each as the light to the lamp. The library is housed in a spacious section of the College building. It has been systematically and steadily strengthened. 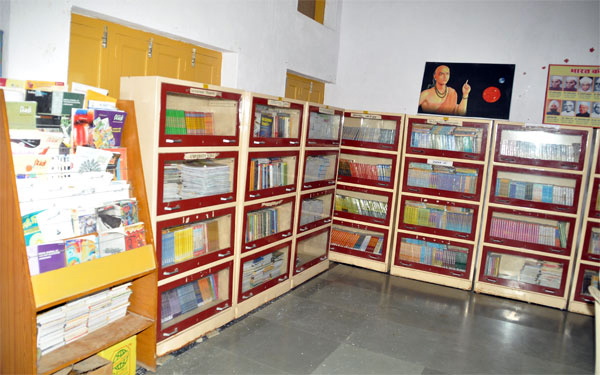 It houses more then 8000 commendably classified Text books and Reference books, apart from a sizeable number of Research Journals and Magazines available in the Reading Room for the enhancement of the knowledge of the students. Computer & ET Lab: Our computing infrastructure offers a truly various range of hardware and software platforms for the student to appreciate and gain wide-ranging experience. A classroom with about 36 desktop computers, a projection facility along with a multimedia laboratory is the other attraction. Access to high-speed printing including color printing is also available. Most of the classrooms are equipped with an instructional technology platform.